Willie van Bloemestein, one of the most enduring drummers to have graced the Cape Town scene, died last week, a few months short of his 90th birthday. 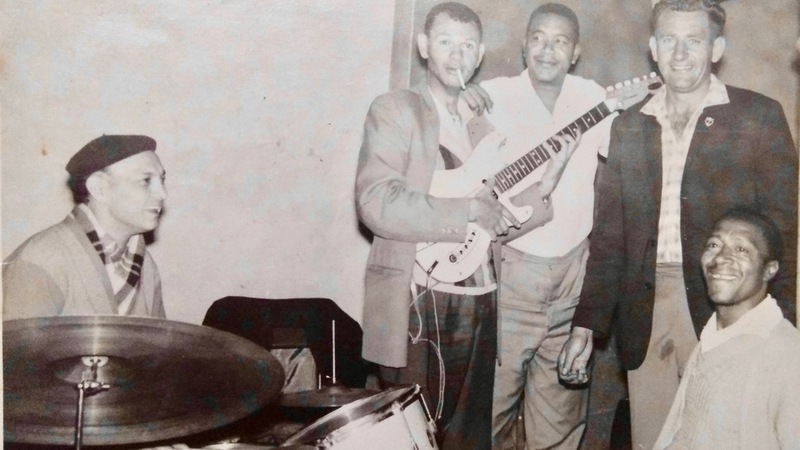 From the mid-’50s until well into the new century Willie was a fixture in local clubs, playing with whoever needed his services – be it a funk band, a langarm band or a jazz band. That was Willie van Bloemestein. He was THAT good, he could handle anything anybody threw at him. In an interview for the book, Jazz People of Cape Town, back in 2002, Willie told interviewer Lars Rasmussen that, aside from his regular gig with Cliffie Moses and the Four Sounds, he was also playing in a Dixieland jazz band and a German oompah band. His peers held him in high esteem. All I spoke to – Gary Kriel, Gary Hendrickse, Cliffie Moses, Zelda Benjamin and Harry Peacock – were effusive in their praise for him. Willie van Bloemestein in his young days. Willie’s career started way back in the mid-Fifties when he joined a group called the Rock River Boys in Athlone. He was playing guitar then, a skill he learnt while hanging out with some part-time musicians in District 6. That group featured the legendary Jimmy Adams on sax and Gary Kriel on guitar. It started the long journey that saw him play over the years with all the top musicians around Cape Town, most of the time in jazz combos and in jazz clubs. The premier jazz group at The Catacombs. From left: Cecil May, piano, Johnny du Toit, bass, Kenny Jephtha, guitar, Maud Damons, vocals, and Willie van Bloemestein on drums. He provided the beat for jazz groups led by Richard Schilder, Cliffie Moses’ Four Sounds, Kenny Jephtha, Cecil May and Gary Hendrickse. When he was in “langarm mode” he played with the legendary Alf Wyllie and Stan Lombard’s dance bands and with The Gemstones. In some clubs, like the “whites only” Catacombs in the city, where Willie played with Cecil May’s group, they would only start playing at 10pm and go until 3am every night of the week. He would “get to bed at four o’clock, get up at seven o’clock, back to work, take a nap, come home, take a nap, eat quick, take a wash, go to bed, wake up at 9.30pm, 10 o’clock I’m up again playing. For eight years”. “My boss understood this. He said, ‘you need some extra money’, so if I came late, he didn’t mind,” Willie recalled in the jazz book. The group at The Catacombs featured some of the best talent Cape Town had with May on piano, Kenny Jephtha on guitar, Johnny du Toit on bass and Maud Damons and Yvonne Cloete on vocals. It was largely unknown to the Cape Flats jazz lovers because the money was too good in the white clubs. Willie van Bloemestein in the early days with one of the many groups he was part of. When the gig at The Catacombs eventually came to an end, Willie did the club rounds in the Peninsula – the 524, the Beverley Lounge, the Surwell Lounge, Club Montreal. In all the years he played, Willie did it without any formal training. It was all done by ear. Once, in the early years, he had a gig at short notice with pianist Albie Louw whose regular drummer was unavailable. When Willie asked him what music he was playing, Albie whipped out a music sheet multiple pages long and told him to follow the beat. “I just used my ears and followed him as he went along,” Willie said. “You’ve got be versatile, specially playing with different groups,” Willie said in the book. “You can’t stick to one thing all the time . . . like jazz, quickstep, sometimes you play Mexican type of music, or you got to do Jewish numbers, or Italian numbers. Even late in life Willie was still practising and learning something new everyday. In recent years, he teamed up with Billy Baatjes and played once a week at the Kensington Old Age Home. Although Willie’s career spanned decades, there is very little by way of recording material that he has left behind. He did a CD with saxophonist Harold Jafta that focussed on the developing ghoema genre and a tape with Gary Kriel. He said it was a shame that not much was recorded, but “no one cared”. One of the highlights of his career was having a jam session at the Surwell Lounge in Surrey Estate with one of the superstars of modern jazz, American pianist Chick Corea. “He pitched up at the place unannounced and was so impressed with us, he joined in,” Willie recalled. As much as the nightlife and music was his life, Willie van Bloemestein was essentially an old school “ home boy”. He never really ventured out of Cape Town. 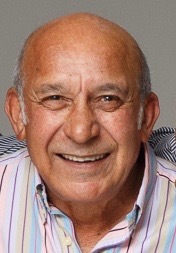 He had a stint with the African Jazz and Variety Show in the Sixties when they had a run in Cape Town but when they show packed up to head out for Jo’burg and a national tour, he pulled out. “I didn’t want to travel, they wanted me to go to Jo’burg and all those places but I was scared to go. I had a wife and children,” he said in the book. Willie leaves behind his wife, Ingrid, and six children. I did meet Willie during my time reporting on entertainment in Cape Town but he was never front and centre of any interview. Yet, he cast a long shadow over any proceedings. [Drum roll, please! Boom tish!] Vale Willie van Bloemestein. Rest in Peace. Gary Hendrickse: “I am sad to have heard of the passing of Willie van Bloemestein. He was a drummer of note. “I met Willie in 1964 soon after I had turned 20. He was at least 15 years my senior and the drummer with the Cecil May Trio at the Catacombs. 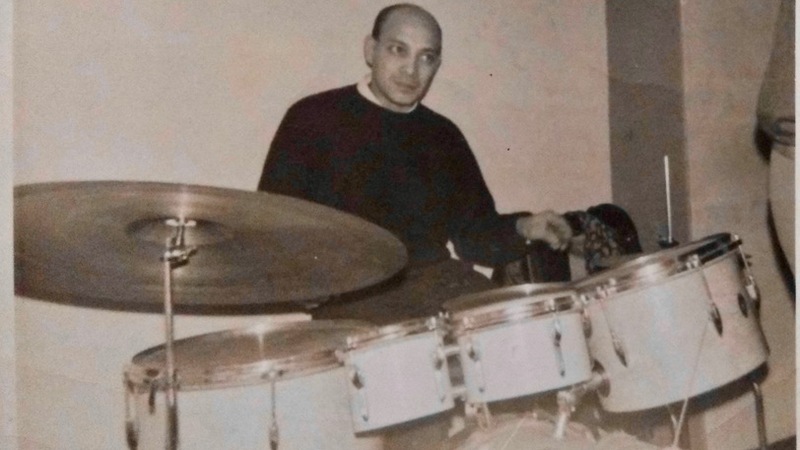 Harry Peacock: “Willie was an outstanding drummer. He was explosive, and when he finished his drum solo, he brought the roof down. He wasn’t essentially a jazz drummer, he could play anything, everything. I can’t remember all the outfits we played together over the years. We chopped and changed all the time those years. “Willie played at the Catacombs every night for many years. I lived two doors away from him in Kensington. When I would get ready for bed at 10pm, I would hear Willie drive off in his VW to go and play. “He came home in the wee hours, had a nap for a few hours and then went to his day job. 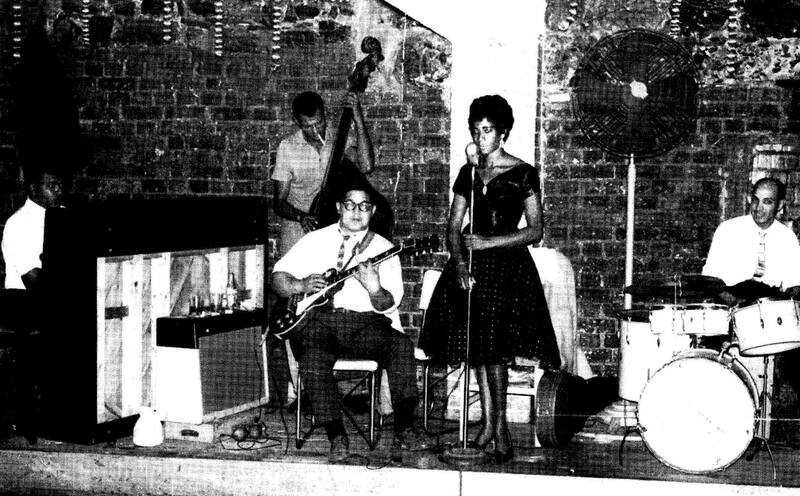 Gary Kriel: “I started playing with Willie in Kew Town around 1955 in a group called the Rock River band. “We played rock ‘n roll at any function that would have us. Willie moved to drums when I came in as guitarist. He just got behind the drums and played it like a natural. “I left to go and tour with Percy Sledge but I teamed up with him again when I came back in 1982. “As far as I am concerned, Willie could play stuff that no other drummer could play. All material on this blog is copyrighted. Permission has to be obtained to publish any part of it. 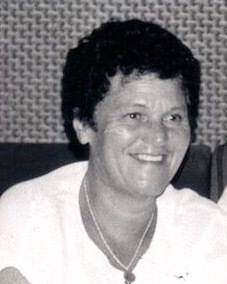 Photographs in this article have been sourced from the family. Outstanding.. thank you so much for immortalising jazz musicians … sitting here with teary eyed loss for words. It’s no less than your father deserved. He has more than earned his place in the pantheon of Cape Town music legends. I just wish I could have written more so that the younger generation could understand what commitment and dedication is. Always interesting, Mr Ludski. Its great that you acknowledge and inform us of these great musicians who formed the sonic tapestry to many lives back then. Keep posting them, my broer. Shotto Rafs. Happy to oblige wherever I can. Excellent piece once again Mister Hipcat. Your knowlege of the Cape Town music scene is peerless.